Vacuum sealing isn't only a great way to keep your food fresh and make it last longer – you can use it in other ways, too. If you like to get creative in the kitchen, then your humble vacuum sealer can be used to pickle your favourite foods, making all manner of snacks and sides from the simplest of ingredients. From spicy jalapeno peppers, the classic cucumber, exotic kimchi and even sweet things like fruits, these cupboard essentials make a superb addition to all sorts of dishes, adding an extra kick of flavour. Whichever pack of pickles you tend to pick, we'll guide you through how to make these fridge favourites with your vacuum sealer. But before we get started with the process, here's a brief Pickling 101 science lesson. When traditionally pickling foods, a process of anaerobic fermentation takes place. During this process, the sugars are turned into lactic acid, which gives pickled food their unmistakable tang. Though flash pickling with a vacuum sealer doesn't involve this process, the use of salt acts as a preservative in the same way and helps to draw moisture away from the fruit and veg being pickled, adding to the brine and altering the texture of the finished product. When it comes to making pickles at home with a vacuum sealer, the process is much quicker, especially compared to canning or jarring food. There's no need to sterilise or process anything, which can take up a lot of time and requires more than its fair share of precision and patience. The pickling process can be very rewarding. In terms of a method, there isn't much to it. You need to make a brine, boil it, pour it into the sealable bag containing your preferred food and then vacuum seal. The process infuses the brine almost instantly, rather than having to wait for a few days. In terms of creating a brine, it can depend on what you're pickling, but a basic recipe that's good for veg is something like 3 cups of water, ¼ cup of salt, ¼ cup of packed light brown sugar and 2 cups of ice cubes. As for how you prepare your pickles, there are a few things to keep in mind that'll result in premium pickling. First of all, make sure the fruit and veg you're using is cut into roughly the same size. Give them a wash and then trim away any dodgy bits or microorganisms that might have grown on the skin. Use canning or pickling salt; table salt contains anti-caking ingredients that will end up clouding your brine. Additionally, filtered or soft water works best, as the calcium from tap water can result in improper pickling. If there are any soft or slippery pickles in the batch you just made, avoid eating them, as they haven't pickled properly. There's nothing quite like a perfectly prepared pickle. 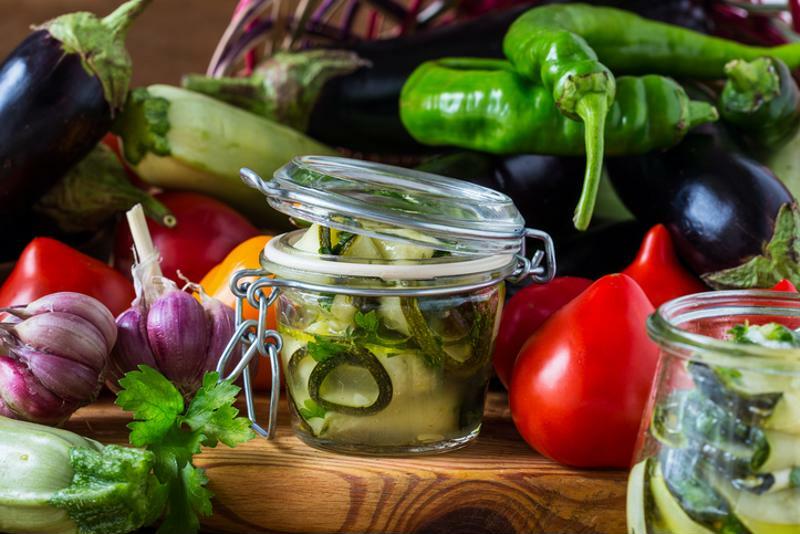 Perhaps somewhat surprisingly, there are considerable health benefits that come as a result of pickling. Because the fruit and veg used isn't being cooked, the antioxidants contained within aren't going anywhere. 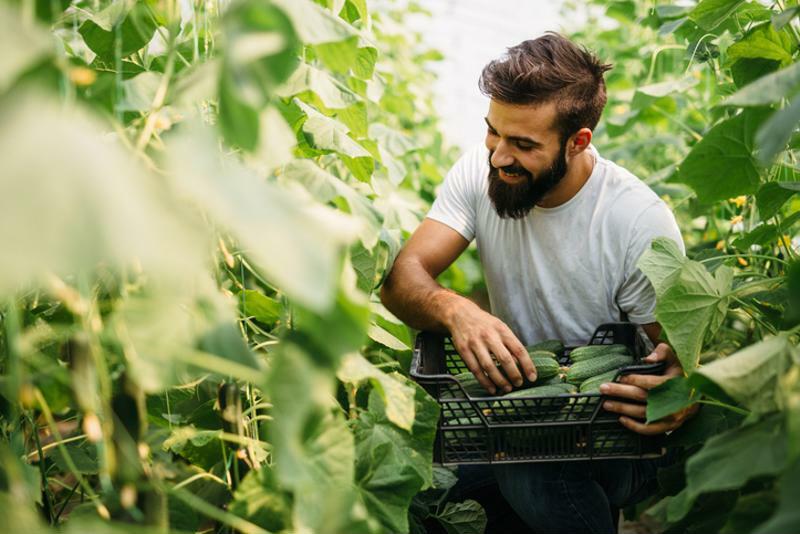 Food high in antioxidants, especially pickled gherkins, chillies and garlic, contain vitamin K, vitamin A, and potassium, which are great for protecting the body against free radicals that can damage cells and DNA. If you're feeling nauseous, particularly during pregnancy, the last thing you might want is to eat a pickle but, actually, something like pickled lemon or ginger might just be what the doctor ordered. The tangy flavour awakens the taste buds, boosting the appetite and lessening the effects of nausea. Pickles, as well dips and chutneys made from leafy vegetables like coriander, spinach and parsley, are full of essential vitamins like folate and vitamin C and minerals like iron, calcium and potassium, which are great for building immunity, strengthening bones, enhancing vision and even easing anaemia. Like a burger every now and then? 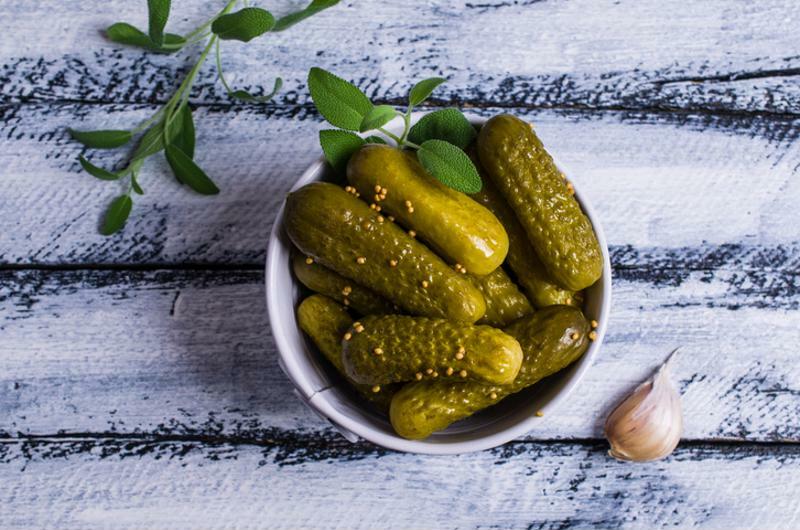 Be sure to include a pickle amongst its toppings as it helps to release glucose more slowly, preventing a blood glucose spike after a meal, especially one high in carbs. The glucose-lowering can also help those with insulin resistance or people at risk of type 2 diabetes. While these benefits are undoubtedly a good thing, the high sodium content means you shouldn't go overboard gorging on pickles. High sodium levels can cause blood pressure to spike, which is bad if you have cardiovascular problems, so be sure to eat them in moderation. Sweet pickles and fruits can also be high in sugar, and thus calorific. Be sure you're getting the requisite benefits without over-eating. Know how to keep your pickles fresh. And remember, once you're done making the perfect pickle, they can all be stored using the FoodSaver vacuum sealing system, so you can save money and reduce food waste. For more information about our innovative vacuum sealers, visit our homepage.